Oh, what’s KiCon you say? KiCon is the first dedicated conference on our favorite libre EDA tool: KiCad, organized by friend of Hackaday Chris Gammell and scheduled for April 26 and 27th in Chicago. Having stuffed ourselves full of treats through the holidays, followed by sleeping through the calm winter months, we find ourselves once again facing the overwhelming tsunami of conference season. This year things are heating up early, and you’ll find a lot of Hackaday staff are headed to Chicago for KiCon. Now that early selection of talks has been released, the end of April can’t come soon enough. Being user focused the conference is centered around what people make using the tool, and how it can be leveraged to improve your next project. Wayne Stambaugh, the project lead for KiCad itself, will be on hand to talk about the state of the tool and what the road map looks like from here. There will be a pair of talks on effective version control and applying the practice of continuous integration and deployment to the EDA world. We’ll hear about methods for working with distributed project members and tips for designing easy to learn beginner soldering kits. And there will be two talks on RF and microwave design, one of which we hope will teach us how to use that mysterious toolbar with the squiggly lines. 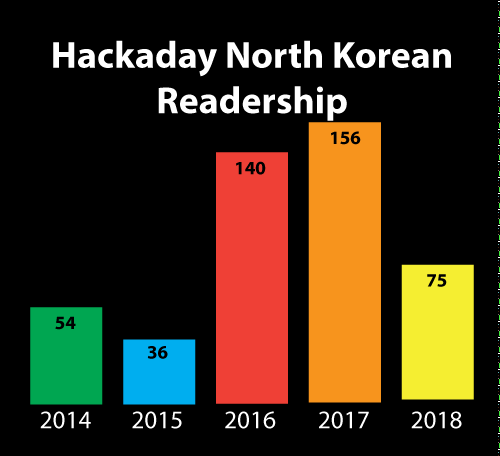 For an extra dash of flavor there will be a few Hackaday staff participating in the festivities. Anool Mahidharia is making the flight over to present a talk about how to quickly generate and use 3D models in FreeCAD, something we’re very interested in applying to our messy part libraries. Kerry Scharfglass will be around to walk through how to lay out a manufacturing line and design the test tools that sit on it. And our illustrious Editor in Chief Mike Szczys will be roaming the halls in search of excellent hacks to explore and brains to pick. Interested in attending or volunteering for the conference? Now is the time to buy your tickets and/or apply as a volunteer! Of course there’s a ton of fun and games that surround KiCon. Hackaday will be hosting another edition of our always exciting bring-a-hack the evening of Saturday April 27th after official activities wrap up. Plan to stop by and enjoy a beverage at this gathering of like minded hackers who are showing off awesome toys. We’ll get more location details out soon, but for now, grab a ticket to the con and make your travel arrangements. In the end, Internal Blue lets them execute commands at one layer deeper — the LMP layer — easily allowing monitoring and injection. In a series of live (and successful!) demos they probe around on a Nexus 6P from a modified Nexus 5 on their desk. This is where they started digging around in the Bluetooth stack of other devices with Broadcom chipsets, and that’s where they started finding bugs. As is often the case, [Jiska] was just poking around and found an external code handler that didn’t do bounds checking. And that meant that she could run other functions in the firmware simply by passing the address handler offset. Since they’re essentially calling functions at any location in memory, finding which functions to call with which arguments is a process of trial and error, but the ramifications of this include at least a Bluetooth module crash and reset, but can also pull such tricks as putting the Bluetooth module into “Device Under Test” mode, which should only be accessible from the device itself. All of this is before pairing with the device — just walking by is sufficient to invoke functions through the buggy handler. All the details of this exploit aren’t yet available, because Broadcom hasn’t fixed the firmware for probably millions of devices in the wild. And one of the reasons that they haven’t fixed it is that patching the bug will disclose where the flaw lies in all of the unpatched phones, and not all vendors can be counted on to push out updates at the same time. While they focused on the Nexus 5 cellphone, which is fairly old now, it’s applicable to any device with a similar Broadcom Bluetooth chipset. 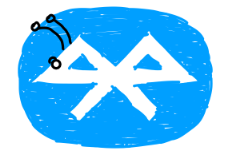 Aside from the zero-day bug here, the big story is their Bluetooth analysis framework which will surely help other researchers learn more about Bluetooth, finding more glitches and hopefully helping make Bluetooth more openly scrutinized and more secure. Now anyone with a Raspberry Pi 3/3+ or a Nexus 5, is able to turn it into a low-level Bluetooth investigation tool. You might know [Jiska] from her previous FitBit hack. If not, be sure to check it out. It’s nearly summer, and that means we’re right at the start of conference season, at least for the tech and netsec crowd. Conferences, if you’re not aware, are a conspiracy for the hotel-industrial complex and a terrible way to spend thousands of dollars on a crappy hotel room and twenty-five dollar hamburgers. [Andrew Quitmeyer] is working on an experimental academic conference that might just put an end to the horrors of conference season. He’s creating his own conference called Dinacon, and it’s going to be cheaper to attend, even though it’s on a tropical island in the Pacific. For this week’s Hack Chat, we’re going to be talking with [Andrew] about Dinacon, a free, two-month-long conference with over 140 attendees from every continent except Antarctica. [Andrew]’s research is in ‘digital naturalism’ at the National University of Singapore and blends biological fieldwork with DIY crafting. 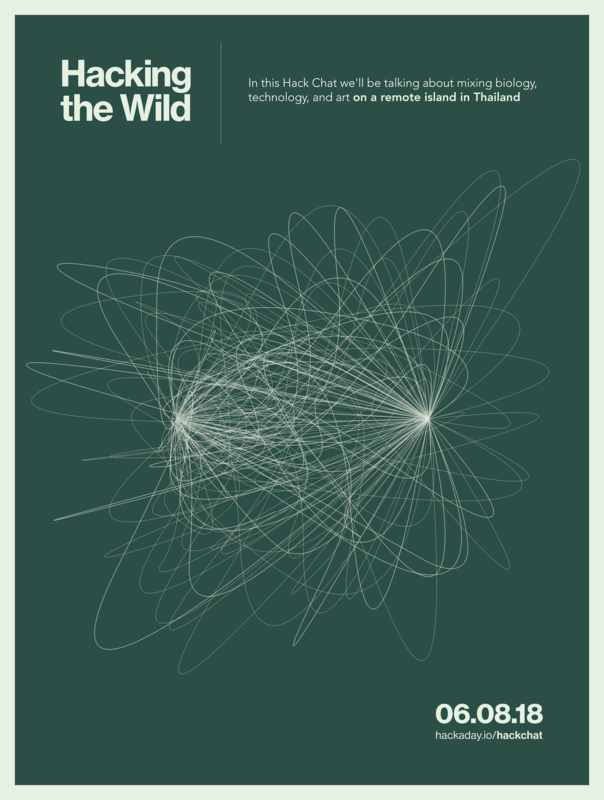 The focus of this conference will be workshops where participants build technology in the wild meant to interact with nature. Not only is the intersection of DIY electronics interesting to the Hackaday community, this is also an interesting conference from a logistical standpoint. The conference philosophy spells it out pretty clearly, with the main takeaway being that [Andrew] is self-funding this conference himself. It’s only going to take about $10,000 USD to host this conference (! ), and there are even a few travel stipends to go around. This is also a two-month-long conference. I assure you, after dealing with Supercons, Hackaday meetups, and all the other events Hackaday puts on, this is exceptionally interesting. It’s unheard of, even. What does DIY electronics look like in the forest? What did you learn from Hacking The Wild? What kind of things do people make at Dinacon? What is the biggest bug that ever got into one of your electronics experiments? Our Hack Chats are live community events on the Hackaday.io Hack Chat group messaging. This week is just like any other, and we’ll be gathering ’round our video terminals at noon, Pacific, on Friday, June 8th. Here’s a clock counting down the time until the Hack Chat starts. The IMAV (International Micro Air Vehicle) conference and competition is a yearly flying robotics competition hosted by a different University every year. AKAMAV – a university student group at TU Braunschweig in Germany – have written up a fascinating and detailed account of what it was like to compete (and take first place) in 2016’s eleven-mission event hosted by the Beijing Institute of Technology.